“This is the most successful line that we have run in the Engine Plant since it was opened in 1981. It’s still operating flawlessly and at an output performance level far exceeding the initial target,” said Richard Reid, Unit Head: Engine Plant. The foundation of the EA111 engine‘s success is its reliability and fuel economy provided by the strong and flexible design concept that underpins it. Some 350 000 local customers have taken delivery of a Polo or Polo Vivo since 2010. The Engine Plant is currently producing over 450 engines and just over 470 machined engine blocks per day with a two shift pattern run by 192 operators and setters. “The Engine Plant‘s continued dedication to meeting the strict quality standards set by the Volkswagen Group and continuous achievement of volume targets is a credit to their great team work. 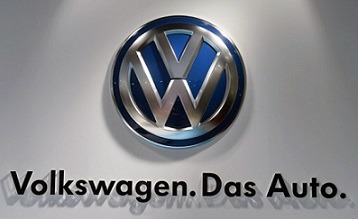 They are a great example of a team that live our Volkswagen Values of Respect, Integrity, OneTeam and Excellence, “said Thomas Schaefer, Chairman and Managing Director of Volkswagen Group South Africa. In a fast-moving and information-hungry world, GetNews is set on providing news and insights to help businesses respond to an ever-changing world.